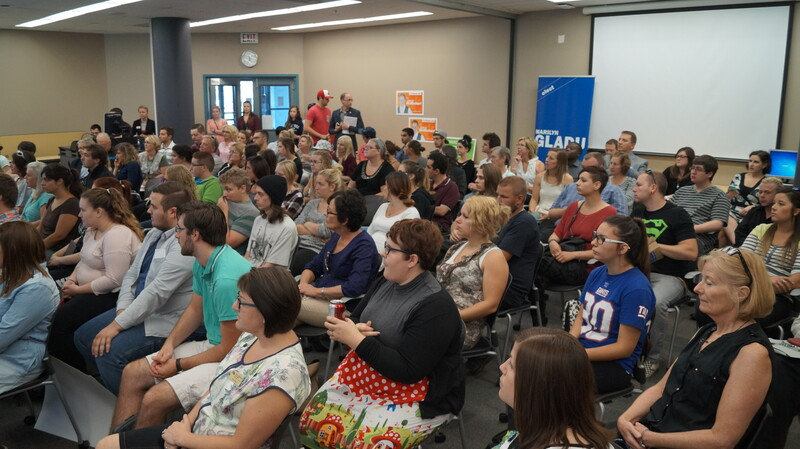 The four federal election candidates in Sarnia-Lambton riding were greeted by an impressive turnout at Lambton College Thursday, for a debate hosted by the student-driven social justice group, The Vocalize Network. In an open forum debate, candidates were faced with issues addressing student poverty and debt, First Nations support, small business and entrepreneur concerns, addiction and mental health, and the legalization of marijuana. In a lightning-round of questions, the four hopefuls were asked if they’ve ever smoked weed before. 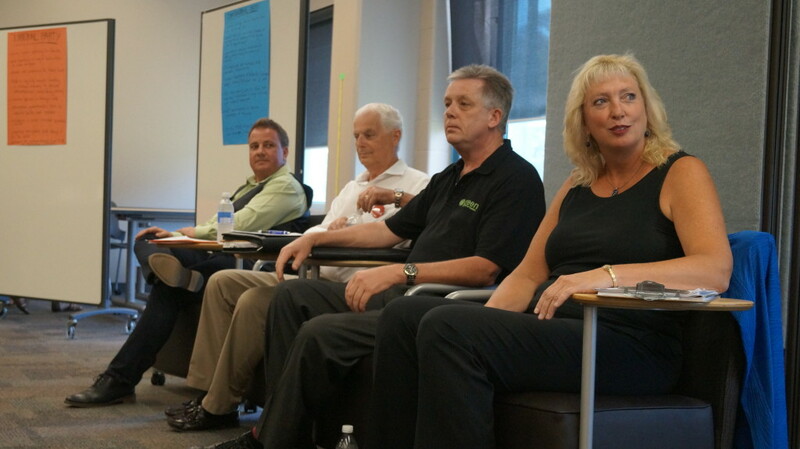 NDP Jason McMichael, Conservative Marilyn Gladu, and the Green Party’s Peter Smith all answered yes. Liberal Dave McPhail says he has not. The Liberals and Green Party are in favour of legalizing marijuana, while the NDP would support decriminalization. Gladu stated Conservatives are against the issue, but she would personally support the decriminalization of it. All four candidates would decrease small business tax rates from 11 to 9 per cent, while NDP would provide an innovation tax credit as well, Conservatives would lower payroll taxes, the Liberals would lower EI premiums, and the Green Party would put $1-billion into grants for businesses supporting green initiatives. All parties say they would work together with First Nations to provide the support they need.